I made a list that I’ve been emailing to my girlfriends about the things I loved during my pregnancy. It seems like it would be so much easier to write a blog post on my poor, neglected blog and then just send a link whenever someone else gets knocked up! Most of these were recommended by a friend or something I came across during my hours and hours (and hours) of research. I love to research. The ONLY thing I didn’t research was the birth process itself – having seen a vaginal birth in action, I just didn’t feel the need to know too much. Good thing, too; I ended up having an emergency c-section! – Her weekly (or so) emails are a riot too, if you choose to sign up for them. The subtitle on this one is “Why the Conventional Pregnancy Wisdom is Wrong – and What You Really Need to Know”, and I read it before I ever got pregnant. I wondered why some pregnant women avoided ALL alcohol, sushi, caffeine, soft cheeses, deli meats, and basically anything remotely fun, while others had some of these things in moderation without qualm. Ms. Oster is an economist, not a doctor, but when she found herself pregnant, she decided to go directly to the medical studies to find out what the risks were for all these behaviors and choices. It is fascinating to see what pregnancy taboos carry very little risk, while other activities with a more substantial risk (like gardening) don’t seem to garner much attention at all. I found the best maternity clothes at Gap and Old Navy. By signing up for the email list, I only bought when they had 40% off or more. They had sales pretty much every other week, so it was never a long wait. I would order about 10 to 15 items (different styles, different sizes) and then just return what didn’t fit. I made sure to read the return policy for everything before every order, just to make sure I was allowed to return to the store! AVOID Pea in the Pod and Motherhood Maternity. They were overpriced and the fabric was so gross and cheap. The black pants I got from Pea in the Pod (allegedly the ‘higher end’ line) began pilling after the very first use. By the time I’d had the baby, the fabric was basically all bumpy and pilled between my thighs. UGH. I didn’t take advantage of it, but StitchFix now has maternity clothes! I wish they’d introduced it just a little bit earlier so I could have used it. This would be the perfect way to find some cute outfits for a baby shower, or even just something to spice up a boring maternity work wardrobe. The way it works is you fill out a pretty long questionnaire about your style, size, and preferred fit, and can even send a note to the stylist with any additional concerns. A stylist picks out 5 items that meet your needs and budget and ships them to you. If you hate everything, you can return it for free in the included return envelope, and you are only charged a $20 styling fee. If you like some of the items, you can return what you don’t like and you are only charged for what you keep (and the styling fee is credited back to you.) If you keep it all, you receive a 25% credit for the entire ‘fix’. As a fashion-inept, infrequent shopper, I loved StitchFix before pregnancy. It was even better for finding “pump-friendly” clothes for returning to work! Despite the name and the flashy cover (“Secrets to Saving 20% to 50% on baby furniture, gear, clothes, strollers, maternity wear, and much, much more!”) I loved this book for its comprehensive coverage of all the different baby brands and companies out there. Each chapter covered a different type of product for which you are shopping, e.g. furniture, mattresses, swing, etc. In each chapter, they listed the different manufacturers of the products, which companies owned which brands, and assigned letter grades based on product quality, customer service, value, where the product is made, and ‘eco-friendliness’. I referred to these letter grades again and again while trying to choose the best quality products for our baby. Despite the name, the highest rated products were not necessarily the cheapest; the authors have a philosophy that quality products that last are better than cheap ones that don’t. However, one of the best things about this book is that the authors teach you how to look for good deals on your own. For example, many baby stores sell high end cribs for lots of money. The cribs are good quality and will last forever, however, many times the matching dresser or changing table is total crap. They give checklists on what to buy, advice about what gear is needed when, and basically it’s just a great book to read before you go out and buy anything for the baby. I bought it on iBooks so I could carry it around on my iPad for reference while we were registering. There are so very many places to register, and really, your personal preferences rule here. I just want to say how much I loved having a registry with Amazon and Buy Buy Baby. They both had great customer service, an easy return process (essential when you change your mind as much as I do), and reliably delivered gifts from across the country. I hate Babies ‘R’ Us and Target when buying baby gifts, and I would never recommend anyone register at either one. That’s it for now. If I’ve sent you this link, it’s because I’m so excited for you and want to give you tons of unsolicited advice! Congratulations! This animated series is a hilarious send up of Sixties-era espionage. Totally inappropriate and raunchy, as are many of my suggestions in this list. However, it’s totally clever and entertaining; I have seen lots of pop culture references to it. 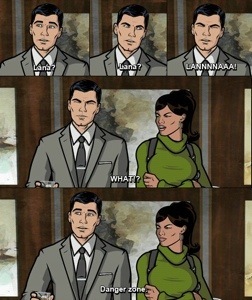 Archer is a Bond-like character, with a similar love for the ladies. Seasons 1-3 can be found on Netflix; Season 4 has aired, but we’re waiting for it to come to Netflix. On March 13, 2013, Rob Thomas and Kristen Bell launched a Kickstarter fundraiser in an attempt to get the film made, with the help of fans to reach the goal of $2 million. … The goal was met within 10 hours of the start of the campaign. The project broke several Kickstarter records, including being the largest successful film project on Kickstarter. The Kickstarter campaign ended on April 13, with 91,585 donors raising $5,702,153. We were proud funders of the project, which will be released March 2014. So what is the show about? Veronica is a teenager who has fallen out of the popular crowd, while investigating the death of her best friend. 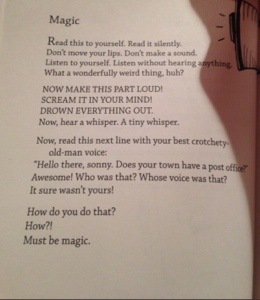 It is clever and full of twists. It’s only available on Netflix DVD service, and you will find yourself watching 5 episodes in a row. It’s sometimes dark and has adult themes, but not raunchy. Here’s my challenge – if you sign up for Netflix DVD and watch the first episode and find that you don’t like it and don’t watch the next episode, I will pay for that month’s Netflix fee. I am that sure you will like it. (Offer only applies to people I know in real life.) And hey, if you start now, you can watch all three seasons before the movie comes out! Hmm, yet another high school based drama…is there a theme here? This one is pretty unknown, but we’ve really loved it. 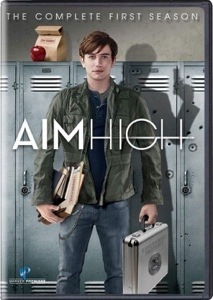 It stars Jackson Rathbone, an adorable actor from Texas, playing a teenage assassin. This low-budget web series is very well done, and each of its two seasons can be watched in under an hour. Lots of fight scenes, witty banter, and teen angst. You may remember Jackson from his role as Jasper in Twilight – he looks much more normal here! Find Season 1 by searching YouTube – I believe there are 8 short episodes. Season 2 is on Crackle, a free content-streaming app. Do you have any suggestions? I’d love to hear what others are watching and streaming! Big Mileage Earning – The Not Hard Way! We are still chipping away at the mileage we need! Last count, we were still working on more than 13,000 miles to reach our goal of 120,000. This month, I earned miles by answering some marketing surveys. On United.com, there is a link to e-rewards.com. This can be found on the MileagePlus section, under “Earn Miles”. The first time you sign up, you will receive 250 miles as a bonus – but you must use that link! The amount of information you have to disclose while answering these surveys may make some people uncomfortable. I chose not to reveal some information, but don’t just make up fake answers. The Flyer Talk forum is full of posters who say the stream of survey opportunities dried up when they consistently made up answers. They have “security” questions mixed in with the regular questions to make sure you aren’t just randomly clicking answers. The typical survey experience has you answering some basic questions to determine if they want to give you a full survey. If not, you receive the consolation prize of $0.25 or something like that. If you do meet their desired demographic, you may complete the survey and earn $2.00-$7.00 in e-rewards. When you’ve collected a certain amount of money in your account, you can trade it in for all sorts of stuff, including miles. This week I finally earned $25 in my account, and traded it in for 500 miles. It took about 3 weeks to earn it, answering about 5-7 full-length surveys, and perhaps 10 consolation prizes. Pretty easy! However, that’s nothing compared to my credit card spend this month. Whew. It’s both exhilarating to see the miles racking up, and a weensy bit scary to know HOW EASY it was to spend $5k in one month! All we needed were some airline tickets, and boom, spending doubled! Don’t forget – miles aren’t a good deal if you are carrying balances on your card. Make sure you are paying off your card as you go so you don’t accrue interest charges. Well, there’s no chance I’ll be picking up anothet CC spend bonus like that anytime soon! The remaining mileage will have to come from some other upcoming sources: our PointsHound booked stay is in 2 weeks, and our next flight is in a little over a month. Looks like it may be September before we reach 120,000 (or later!) With award fares possibly drying up before then, we may need to think about buying/transferring miles. Lame. We spent the weekend in the gorgeous Texas Hill Country, in Fredericksburg, Texas. The trip was mostly about visiting family, but we did manage to slip in some relaxation and sightseeing. We stayed at [Palo Alto Creek Farm](http://www.paloaltocreekfarm.com/), a bed and breakfast just north of town. Getting out of the car, I couldn’t help but inhale the fresh smell of cedar and a nearby fire, as well as warm rain. I guess I have become immune to the not so great smells of Houston! The B&B was wonderful. They left breakfast and seven kinds of fresh fruit in the refrigerator, so we didn’t need to interact with anyone. We drank wine, did some shopping, and found lots of things we’d like to do on our next road trip to the Hill Country.